Dev Anand's leading ladies -- Waheeda Rehman, Vyjayanthimala, Asha Parekh and Hema Malini recount their most memorable incidents involving the legend. Waheeda Rehman almost didn't do her most iconic film Guide! 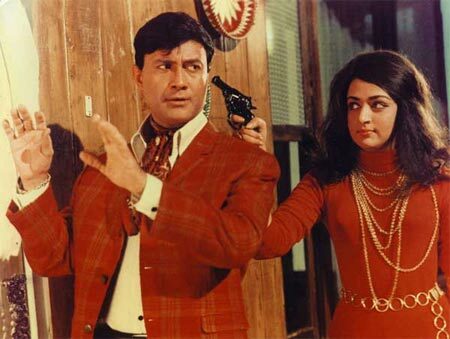 Reminiscing about 'Dev', Waheedaji laughs throatily, "Guide is not just my most iconic film. It is also Dev's most celebrated work. But I almost didn't do Guide." 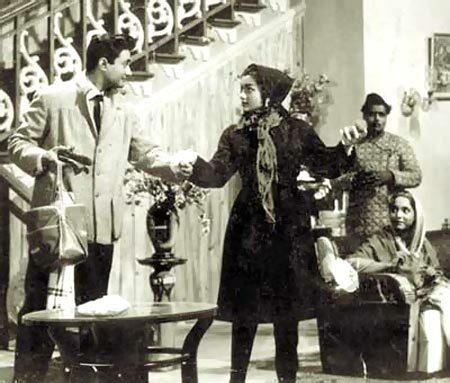 "Hua yun ke, shuroo mein director Raj Khosla the (It so happened that Raj Khosla was the director in the beginning) and we'd had a difference of opinion during an earlier film. I never worked with him after that and wasn't willing to change that for Guide either. "But Dev was very persuasive. He called up and said, 'Come on, Waheeda. Let bygone be bygones. Everyone makes mistakes." But I refused to budge. I asked Dev why his brother Goldie (Vijay Anand) wasn't directing. Turns out he was busy with Tere Ghar Ke Samne. Eventually, Raj Khosla was replaced by Chetan Anand but he didn't want me for the role! I laughed. Yeh to achcha hua. One director I didn't want and the other director didn't want me. I think Chetansaab wanted Priya Rajvanshji. But Dev was adamant. They needed a dancer, and Priyaji couldn't dance. Eventually, Goldie directed Guide. That's how I got Guide. The rest, you know. It's a film I'm very proud of." 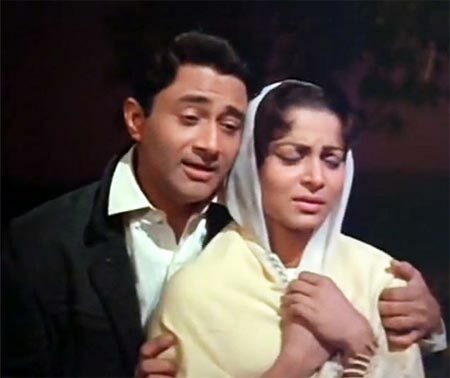 Waheedaji has done seven films with Dev Anand and therefore, the costars had grown comfortable around each other. "My very first film in Hindi -- CID -- was with Dev Anand. I was a big fan of his. So you can imagine my excitement and nervousness at doing a film with him. On the very first day on the sets, when I called him 'Dev Saab' he turned around and said 'No no, call me Dev'. "I couldn't bring myself to call him by his first name, that wasn't my upbringing. So I suggested I call him 'Anandji'. He glared at me and said, 'Do I look like a schoolteacher to you?' The next day when I called him 'Dev Saab' he looked around as though he didn't know whom I was addressing. I had to finally call him 'Dev' and 'Dev' he remained until the end." When told that Dev Anand had said in the past that she was his favourite actress, she smiles and says, "That was nice of him. We did share a very easy and warm working relationship. When he truned director with Prem Pujari, I was a part of the film. But without meaning any disrespect to him, I'd like to say that as the years went by Dev's script sense went astray. Dev was a very good producer but he should have looked out for better scripts." As time passed, the actors lost touch. 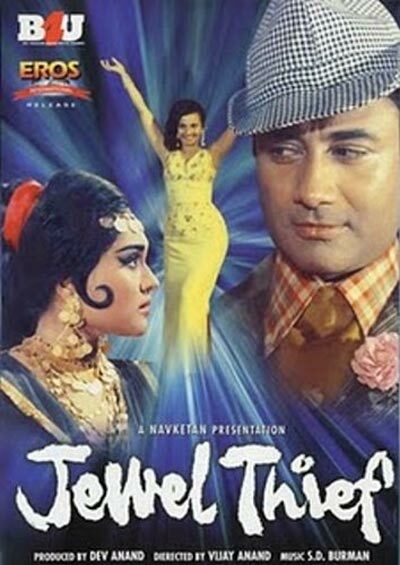 Waheedaji says, "I got married and left for Bangalore. One day, I got a call from Dev inviting me to the premier of the colourized version of Hum Dono. When I excused myself saying I had a prior engagement, Dev asked me, 'How many films have you done with me?' I said seven. Then he asked how many of these are for the Navketan. I said, 3. He quipped, 'Then Naveketan is like your home banner. How can you not be here for such a big moment for Navketan? Cancel your plans and be there.' Unfortunately, I couldn't manage to attend the event. I couldn't meet him one last time." "I've lost two of my favourite co-stars this year -- first Shammi Kapoor and now Dev Anand," says Asha Parekh. "We did three films together. Out of them Nasir Hussainsaab's Jab Pyar Kissise Hota Hai was a huge success. "We had a ball shooting that film. I was relatively new and Nasirsaab and Devsaab were big names. Devsaab was so full of life, he made me feel like a has-been even at that young age. He could never sit still. He'd be all over the place, 'Asha, do this, do that. Don't stand there. Go go go...' The clock never stopped for him. "Working with him was like being on an express train. The journey was relentless and exhilarating. We went on to do two other films Mahal and Kahin Aur Chal. The latter didn't do well. I still remember a sequence that Devsaab performed on the beach. It was a very emotional scene and he swam through it. He was such a huge star but people didn't give him enough credit as an actor. "He was very stylish. But he was also a brilliant actor. His clothes, hairstyle, the way he talked and waked exuded glamour and uniqueness. He was so talented -- Actor, director, writer, producer... He lived, breathed and slept cinema. Today I see that kind of passion only in Aamir Khan. Devsaab's enthusiasm was infectious. I couldn't keep in touch with him much because he spent most of his time in Mahabaleshwar, writing, coming up with new ideas. He would barely be finished with one film when he started planning his next. I think he lived his life to the fullest. All of us are just not that charged about life. There can never be another Dev Anand." "I think I am the female Dev Anand," says Vyjanthimala, referring to the iconic star's energy level. "He was a bundle of energy. It's hard to believe that he is no more. I first met him on the sets of Amar Deep. He was a really handsome man with impeccable manners. And yes, tall. I needed a tall hero. I have a good height and I really wanted to work with a hero whose frame complimented mine. "Dev came along at the right time. And he was well-read, cultured and erudite. I went on to do a far more successful film Jewel Thief with him. I had shared some very good times with Dev and his brother Goldie during Jewel Thief. We shot in Gangtok. "Then there was that song Hothon pe aisi baat which required unthinkable amount of stamina and energy from me. I think the fact that I was working with Devsaab gave me that energy and stamina. I remember after we finished shooting this song, Devsaab clapped. "He was a very generous co-star. And a very stylish man. He was very particular about camera angles and wanted to be captured in the best possible way on screen. He took great care of his appearance. I think he defined celluloid heroism." "Dev Anand was so charming and looked so beautiful," Hema Malini said. "I have done so many films and have the honour of working with him. The title 'evergreen hero' given to him perfectly suited him. Till the end, he was always on his toes, busy doing something or the other. I remember he always adviced everyone to keep working. He inspired everyone and was a great human being. He was full of energy and was always restless. "I grew up watching his films and never thought that I would get a chance to share screen space with Dev Anand. I saw a lot of his black and white films and I don't think I've seen any hero who's as good looking as him on the screen. I remember when I did my fist film Johny Mera Naam, I was in awe of him. I was a newcomer but he still kept inspiring me. On the sets, Devsaab was very punctual. "I remember we shot the song Wada Toh Nibhaya at Rajgeer in Bihar in a cable-car sequence and we got stuck. The crowd went crazy but he took care of me and we managed to get out of there. "My favourite film has to be Johny Mera Naam and my favourite song of him was picturised on both of us, Pal Bhar Ke Liye Koi Humme Pyar Kar Le. I did so many films with him and it was always a pleasure to work with Devsaab."